Do you love decorating your home? Have other people you know asked you for ideas, tips, even out right help in redecorating their home? Why not take advantage of this innate talent to start making a profit doing what you already love to do? 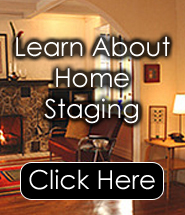 By simply investing some time in home staging training, you can take that hobby and turn it into a money maker. Why keep getting up early every morning and dragging yourself to work at a job you hate, or that you find so unbearably boring? When you take a home staging training course at Decorate-Redecorate, you will find yourself looking forward to the work day in no time at all. Say goodbye to those work day blues and hello to doing a job you simply love. With the courses, you will learn all of the marketing skills and design skills that are truly important to launch yourself into whatever segment of the market you want to specialize in. These courses absolutely will not skimp on your training. Once completed, you will find yourself leaving the competition far behind. Regardless of whether you are looking to start your own business or if you prefer to start your own interior decorating business, you are going to find the perfect home staging training course at Decorate-Redecorate easy, comprehensive, and most importantly, affordable. And for those of you who are already in the home decorating, redecorating, or staging business, you can also find important and helpful home staging training seminars that can power your business forward towards becoming number one in your field. If you are seriously considering starting your own business, you need to know more than just how to do the job you wish to work at. You also need to know how to market your company. Otherwise you could be all set up and ready to go, but find yourself without customers. These valuable skills are also taught in the courses. While you are busy learning the skills you will need to engage in the decorating business you have chosen, you will also learn the crucial task of how to manage that business and make it appealing to the potential customers who want to use the types of services you will be offering. Do yourself a favor. Put your mouse to work and click on over to www.decorate-redecorate.com. You will find the home staging training online you are looking for that will ensure you a much better chance of not only starting your own business, but that can also help put you at the top of your field and way ahead of the competition.